Protesters rallying against BCRA in Harrisburg last June. Members of Tuesdays with Toomey, a group that meets weekly to rally for Toomey to “represent all constituents,” renamed itself the Philadelphia Swamp Caucus for the day, inspired by President Donald Trump’s “drain the swamp” campaign promise to take elite moneymakers out of the government's decisions. “Considering President Trump’s appointments, including numerous Goldman Sachs executives to positions of power within his Cabinet, the Swamp Caucus asserts that Mr. Trump has drained the swamp into government,” the group said in a statement. 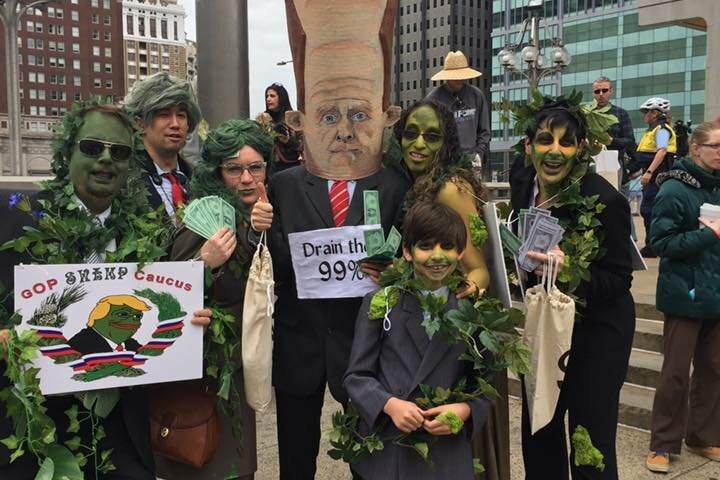 With these beliefs in mind, protesters portrayed members of the government as literal swamp creatures, representing “the 1% wealthy elite who will benefit from the passage of the BCRA. A poster for the July 4 rally. 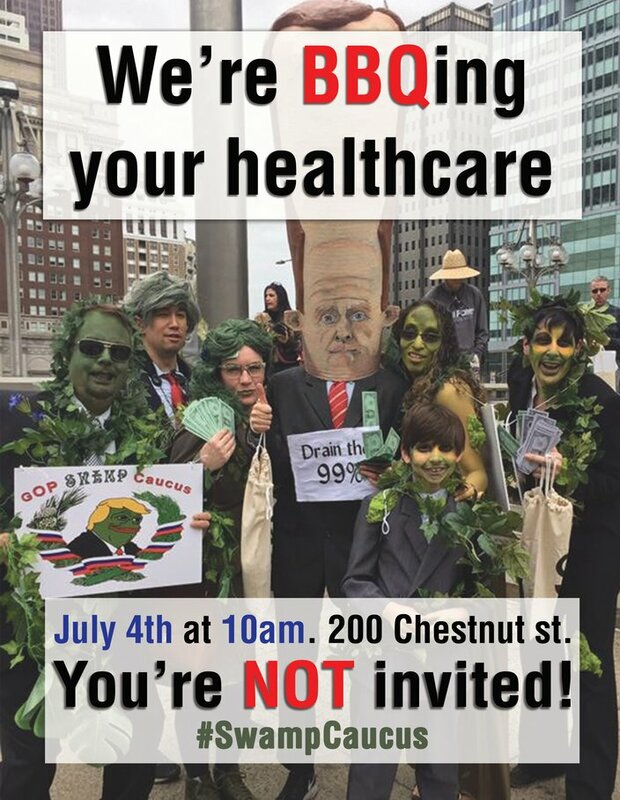 In line with similar impeachment and health care rallies in Harrisburg and Philadelphia, protesters wore green “swamp people” makeup and used faux gravestones and signs to represent the death of health care and democracy. Protester Jesse Bacon spoke to CBS3 about the proposal’s cut to Medicaid, which Bacon uses for his adopted foster daughter. “When you’re about to devastate the program and force different groups of the program to have to fight against each other basically for the crumbs, [it] is disgusting to me,” Bacon said.